I've been working on a blog design project for Vicki of The Magpie Girl over the past few months and, as of a few days ago, it's gone live! If you pop over to Vicki's blog you can see the finished product (and her blog is a great read too!). As I've had a few people contacting me for quotes, I'd like to mention that I'm not currently taking on new clients but when I am again I'll be sure to mention it in one of my posts. 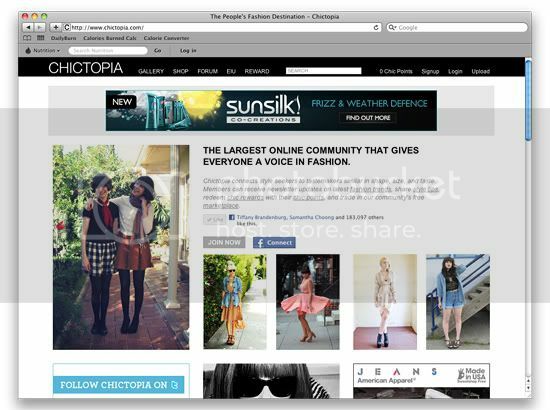 I was also really excited to find that my sister and I were picked to be the main featured photo on Chictopia's front page! Lots of love to everyone who liked our Easter look. While I was at work today a lady came in and took a photo of my outfit to feature on her blog. I've since forgotten the name of her blog sadly, though I'm sure it was called 'the-something-project.tv'. Does this sound familiar to anyone? I wish I could find it! Oh, I noticed she'd changed her layout but I had no idea you designed it! It looks wonderful, you did an amazing job. You're so talented! 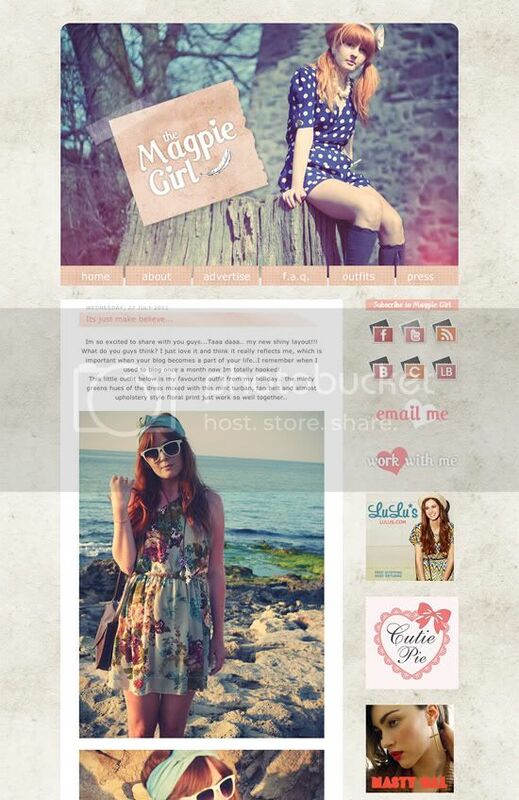 Love ur designs, they scream girly..
Wow, I love her new layout - you did an incredible job! 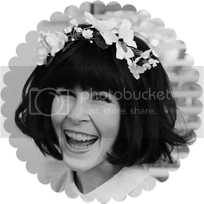 The magpie girl designs are COOL..
Oh, I love Vicki's blog & I think you did a fanastic job! Also saw you on the front of chicatopia ... congrats! You've done a wonderful job! you designed her new layout? omg i love it!!! You're looking lovely as always, i completely adore your sweet style and photos! That`s fabulous outfit! You are beautiful and you are one of the most stylish bloggers i have ever seen. Love the layout! So feminine and girly! Wow. I wish I knew how to do what you do. It looks awesome! And congrats on the chictopia feature! I was wondering who made her new layout, it is absolutely wonderful, you did a fantastic job!